I admit that Chinese people, as an average, have terrible teeth (in China). By and large, western dental care and facilities are much better. The attitude here in America is better about teeth. Still, fact is, most adults end up with dentures in America and umpteen root canals and crowns. Whereas the Chinese sages do not have to get any dental work done (save maybe pulling a tooth). And if they only brushed their teeth and flossed sometimes, they wouldn’t need any work at all. How is this accomplished? What is the secret of having teeth in your 80s, 90s, and 100s? How do these old men survive with their original teeth intact? In fact, sometimes their teeth are not only intact but in perfect condition and too dense to burn in their funerary pyres. That doesn’t seem reasonable! Eat less sugar and drink less coffee – drink more tea. It isn’t just because of plaque and how sugar grows fungi and bacteria. It has to do with the effect of extra sugar in your blood and of caffeine on your Nervous System. The simply fact is that these two things cause nerves to shut down and to tighten capillaries peripherally, and this reduces circulation. Your gums and teeth are periphery enough. If you constantly do this, and also combine it with the tendency of grind your teeth (as most sugar and caffeine addicts do), you are setting up a slow, but sure damage routine. 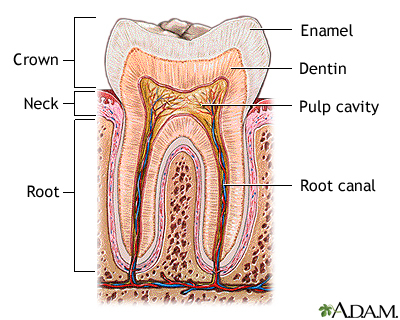 And of course as caries sets in at the root of the tooth, sugars and plaque will aid the decay. So eat less Modern Western Diet. Instead pick up habits, like tea drinking, which moderate sugar and cigarette and coffee cravings, help you lose weight, strengthen the digestive tract and immune system, and overall cleanse the palate. Get rid of your TMJ; not by using a bite guard, but by altering your diet, lifestyle, and doing meditation. The simple fact is that the Stomach channel goes through the jaw and the Liver controls the Stomach. So if you do not want your ST4-8 blocked up and grinding teeth, then you need a healthy ST9 (vagus nerve/thyroid point). To get these, you need to be less stressed, stimulated, irritated, etc… You have to turn OFF your Sympathetic Nervous System (Fight or Flight). Period. ancients developed these techniques back before there were toothbrushes and toothpaste. It’s hard to believe that brushes didn’t exist, but then again neither did germ theory (perse). But they used these methods quite successfully. The catch? You have to do them three times (3x) a day. The bonus? These methods have been known to strengthen bones, hair, and sexual prowess, with consistent use over years and decades. Don’t overdo the western care. The thing is that people fret and do all sorts of unhealthy things to your teeth. Believe it or not, they are still growing. Especially if you restore the channels to them. Fact is that most channels in the jaw are “turned off” only due to Cold Invasion. It could have happened long ago. When I restored my jaw channels it was quite painful because cold is painful. Now if cold tries to penetrate (usually from drinking Iced Tea) I get a strong pain in the molars. I fix it with heat and ginger tea. Other unhealthy things people do that hurt the osteophytes in the teeth: over brighten or acid/bleach their teeth. Brush extensively too much, slowly wearing away the enamel (like wind over sandstone), and pick at them with hard (steel) objects. I am not saying you shouldn’t take good care. But I am saying your teeth are like little organs. They require a bit of TLC. The more bad tooth history you have, the worse it will be to not do everything you can. But if you can restore your Qi in your jaw channels, you will be all the much healthier, happier, and less worried about these very important parts of your health and Activities of Daily Living. It’s easy to take them for granted. Try to be more proactive about your teeth, despite all the other things taking your attention away. Or it’ll be root canals and dentures for sure! PS – Don’t forget to ask me about using herbalism to keep your teeth strong and powerful! And as a bonus enhancing your sexual potency!